Welcome to Learning to Fly...From the Ground Up! "From the Ground Up" and all information, images, and files are © 1999-2019 by Tony Seton Communications. 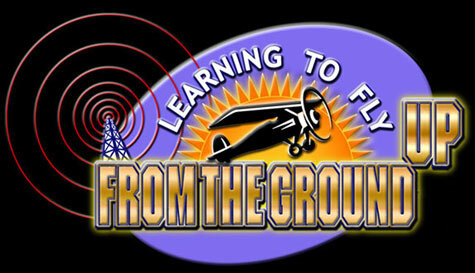 "From the Ground Up" can be reached non-electronically at PO Box 7281, Carmel CA 93921. This site was designed, and is maintained, by DIGI Studios. Thank you for visiting "From the Ground Up" on the web. Inside you will find all the information you need to learn to fly from the ground up. ** Listeners -- get information about flight instruction in your area. ** Flight instructors and other businesses -- contact us about sponsorship opportunities in your market(s). ** Radio stations -- discover this innovative marketing vehicle for new clients. ** Click on the plane to hear the audio demo, and chart your own course into the extraordinary world of learning to fly From the Ground Up. Take your dream of flying to the next Level!